Sant Llorenç des Cardassar is a city on the eastern coast of the island of Majorca. 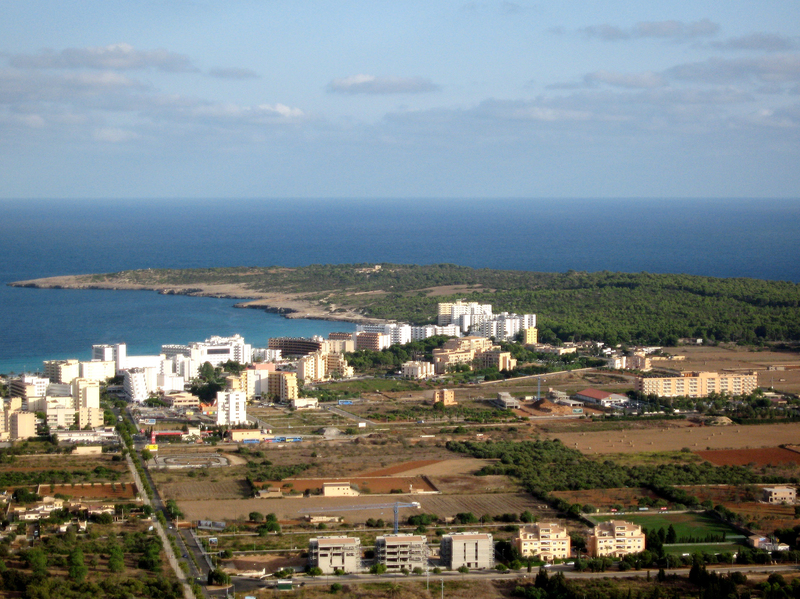 Sant Llorenç is a municipality in the county of Levant (Comarca de Llevant) which includes the following locations: the town of Sant Llorenç des Cardassar itself, the village of Son Carrió and coastal villages of S’Illot (northern part) of Sa Coma and Cala Millor (southern part). 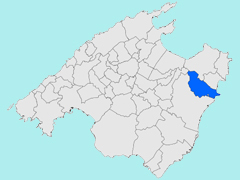 Until 1892, Saint Laurent was part of the municipality of Manacor. The city of San Llorenzo del Cardassar about 3500 inhabitants, and the whole town over 8700 inhabitants. Sant Llorenç des Cardassar, Catalan Spanish, is called San Lorenzo del Cardassar in Castilian Spanish. The name means Saint Lawrence of Thistles: According to legend, this name comes from an image of the Virgin was hidden in a thicket of thistles during the period of Muslim occupation of the island of Majorca and that would have been discovered in the liberation of the island by Jaume I. It is this image of the "Mare de Déu dels Cards" ("Our Lady of Thistles") which gave its name to the town. A thistle plant is on the crest of Sant Llorenç. 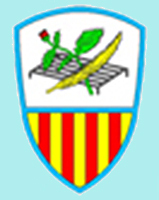 Between the separation of the municipality of Manacor, in 1892 and 1950, the city was called San Lorenzo Descardazar and this name is still sometimes used. Sant Llorenç des Cardassar is located 63 km from Palma de Mallorca. It is located on the main road of the island of Mallorca, Ma-15, between the towns of Manacor and of Artà. 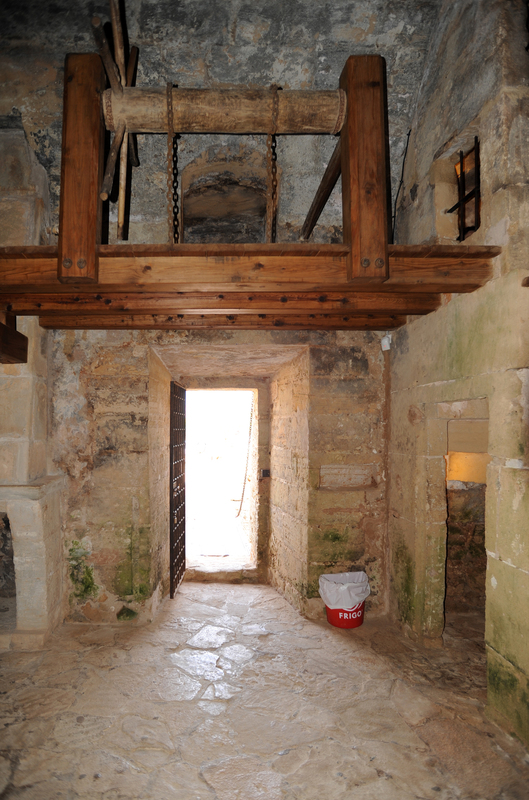 The surrounding communities of St. Lawrence are : Manacor, Petra, Artà and Son Servera. The Punta de n’Amer is a cape jutting about 2 km to the east in the Mediterranean Sea, on the eastern coast of the island of Majorca. 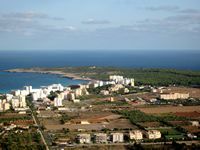 The Punta de n’Amer is located between the resorts of Cala Nau and Cala Millor, north, and Sa Coma and Cala Moreia the south, in the town of Sant Llorenç des Cardassar. The point marks the southern limit of the bay of Son Servera (Badia de Son Servera). 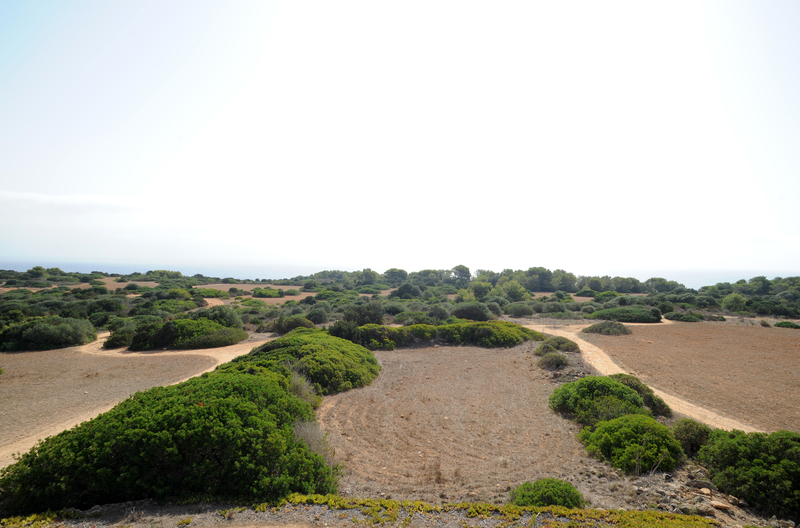 In 1985, the Punta de n’Amer, which covers an area of 2 square km, was declared Natural Area of Special Interest (Área Natural de Especial Interes) for the Balearic Parliament because of its interesting fauna and flora. This protection includes a prohibition to build, camping, bonfire, use of motor vehicles or do any act which may disturb the environment. Point is the only nature reserve in the municipality of Sant Llorenç. It is freely available, but it is asked to stay on the trails. The highest point of the Punta de n’Amer is 43 meters above sea level in the western part of the Cape. The tower of N’Amer, or Castle N’Amer is a watchtower and defense of the seventeenth century, located on the Punta de n’Amer about 700 m from the end of the point. It is known as "Es Castell". The need to build a tower defense here had appeared 110 years ago, due to frequent attacks by Moorish pirates trying to steal supplies or valuables, or remove people to enslave. 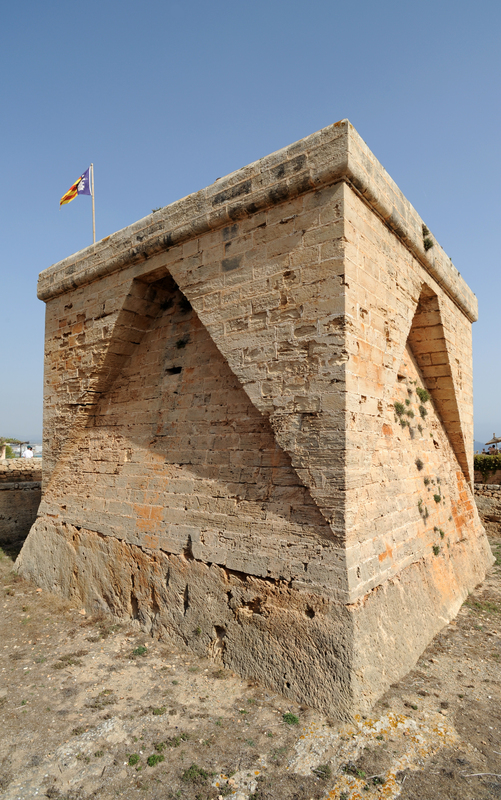 In 1585, the viceroy of Majorca, Lluís Vich, during a general inspection of the island, had requested the construction of a tower, but on July 20, 1586, the Municipal Council of Manacor judged unnecessary round despite frequent landings on this site. 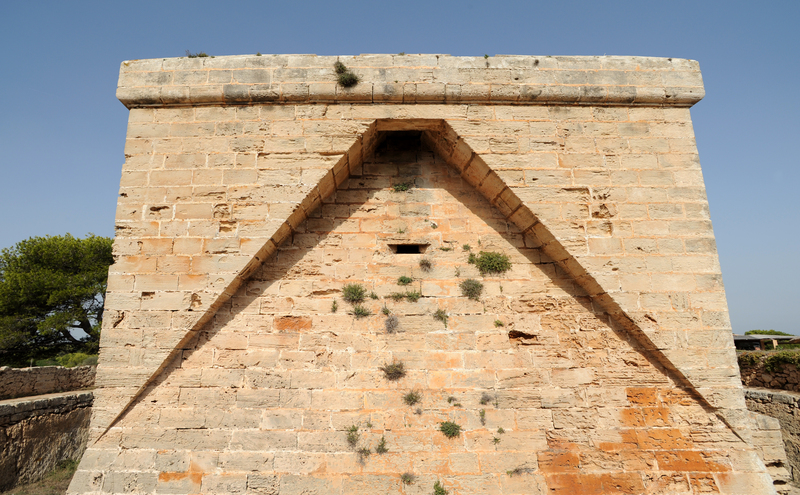 After another major attack in 1611, the Council of Manacor decided in 1617 to build a tower, but for cost reasons, it could not be done. On 4 September 1688, the Moors captured the captain of Muro (Capità de Muro) and some fishermen, and for fear of the Moors, the peasants did not want to Son Servera cultivate the land near the coast. 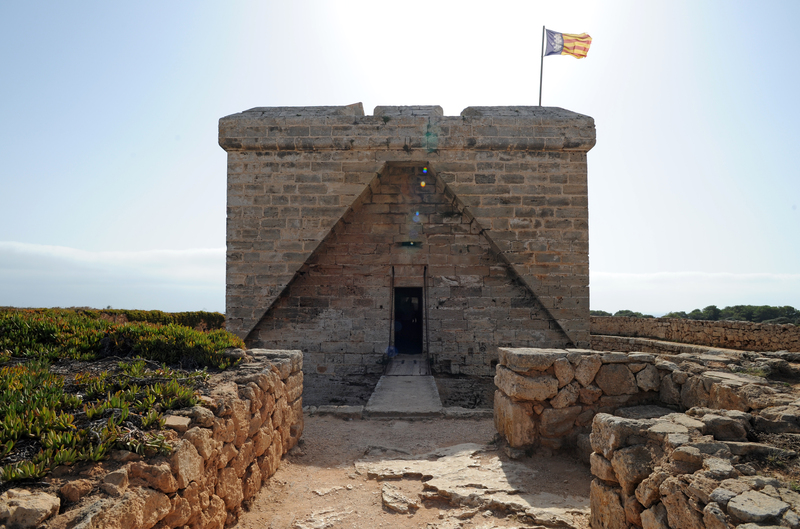 The Grand Council of Mallorca agreed to support the construction of a tower, the construction began in 1693 and was completed in 1696. The stone used was that of the ditch that surrounds the tower and careers around. 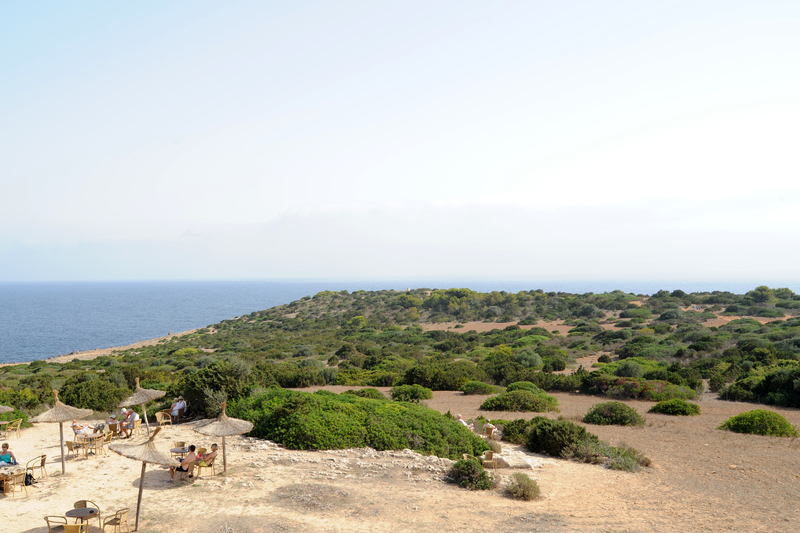 Tower N’Amer was integrated into the network of watchtowers coast of Mallorca, between the towers of Porto Cristo and of Cap Roig. 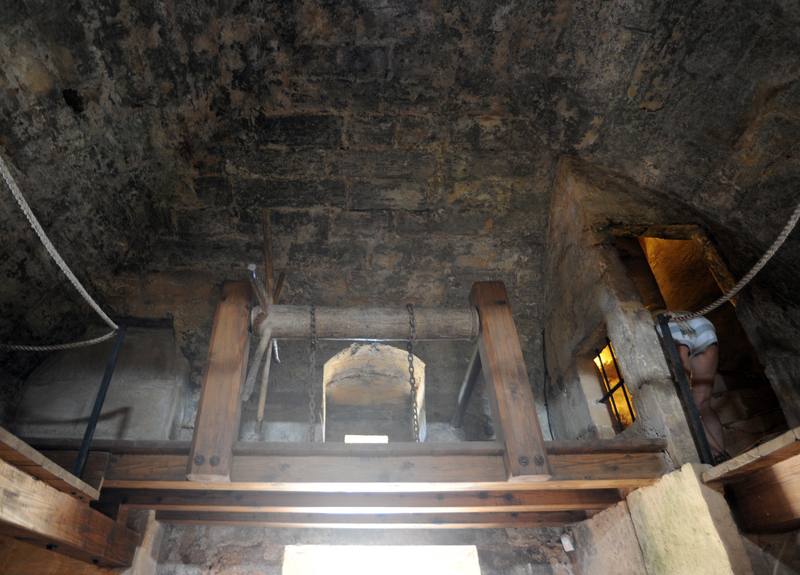 The tower was protected by a moat, and was reached by a drawbridge which one still sees the mechanism. The mid-nineteenth century, with reduced risk of Moorish attacks after the capture of Algiers by the French, the tower was sold and became private property. The Castell de n’Amer is open free to the public. 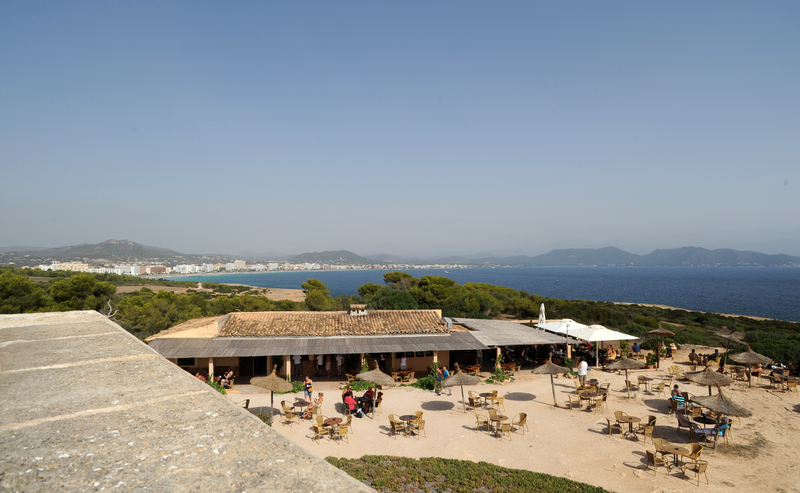 It houses a small museum and serves gazebo overlooking the bay of Son Servera. Through the pine forest, can be reached from the Castell car parks that are located at 1100 m in the north to Cala Nau, and 1500 m to the south, Platja de Sa Coma. An annex building of the tower now houses a restaurant. Summer hours (July and August): from 10:00 to 24:00. Winter hours (September to June): from 10:00 to 18:00.